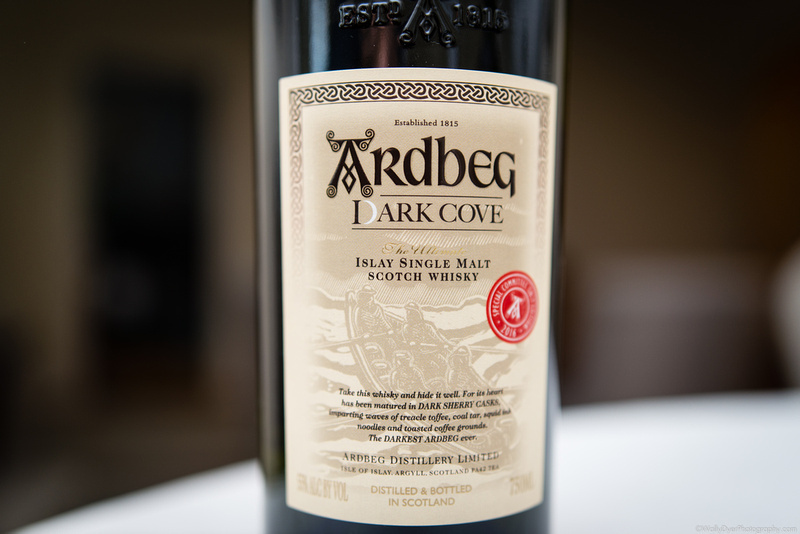 Let me start by saying that the Dark Cove from Ardbeg in both it’s forms are peated. Let me also say that my disdain for peat, though it has been waning, still burns like the fire of a thousand suns. 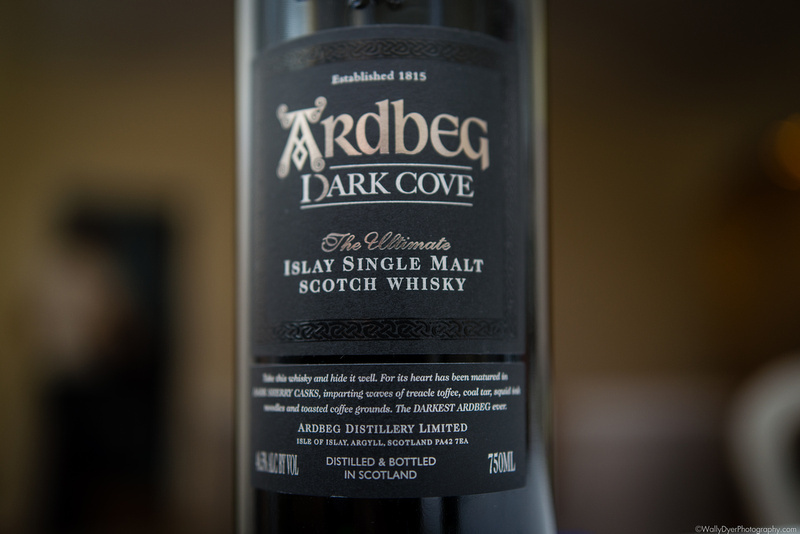 Let me finally say that the Dark Cove is an olive branch from these sadistic lovers of peat to the speyside sweet lovers of the whisky world. 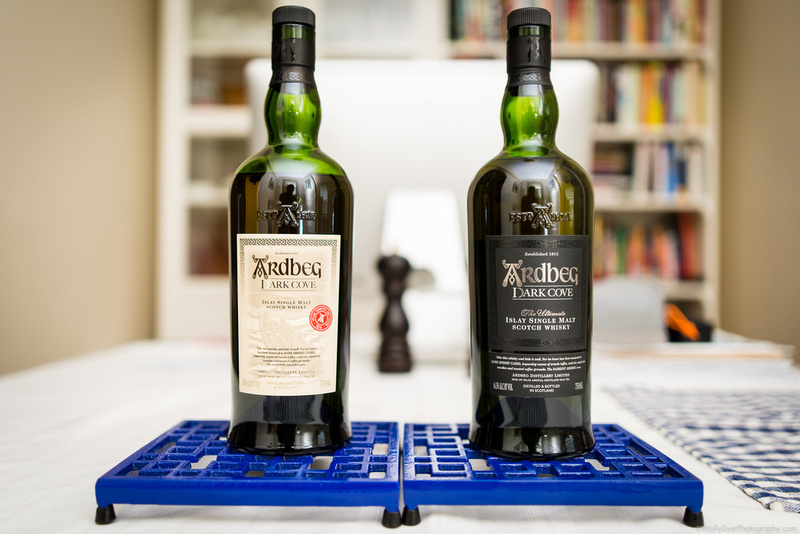 Now that I’ve cleared the air, let me muddle it a bit with that new offering from Ardbeg. Today’s SVS will be a comparison between two of the same bottles but at different ABVs and for different demographics. The first demographic are the members of the Ardbeg committee. You can join online but with all of the peat that Ardbegs are known for, why would you really want to? 😉 The second demographic is your normal scotch buying person. The Dark Cover committee release was released earlier then the standard release and at a higher ABV which does some interesting things to the CNPF of the pour. Let’s get right into this. Ardbeg claims this to be the darkest Ardbeg ever but the color isn’t all that dark. The standard release (SR) is an inviting banana yellow and the committee release (CR) is a shade of brown darker, like a banana that’s been left out almost too long. The SR smells of a sweeter version of the typical Ardbeg distillate that seems to have been calmed quite a bit by the sherry. It’s so much more inviting than your typical Ardbeg leather/smoke/peat/squid ink/sandwich meat/rubber band grossness. Side by side with the CR, the SR is much more obviously sweet. Where the CR has a more medicinal and astringent notes that border iodine, the SR is much lighter with a touch of fruit sugar (which is much more suble than say… raw sugar or candy sugar). The added alcohol in the CR seems to mute and mask even more of the peat (eight thumbs up!!!). It’s allows more of the cinnamon, smokey character to rise from the glass. The SR is a glass of apple and sherry mixed into a pile of tobacco, ash, peat, and leather. The CR starts with a bit of spice towards the edge of the tongue but it’s quickly drowned in some of the softer flavors. That slightly tannic, spiced start gives way to oak and an almost orange citrust flavor that’s surprisingly enjoyable. Slainte to the first Ardbeg to be truly enjoyable to me! Previous Post Smoke on the sea water….